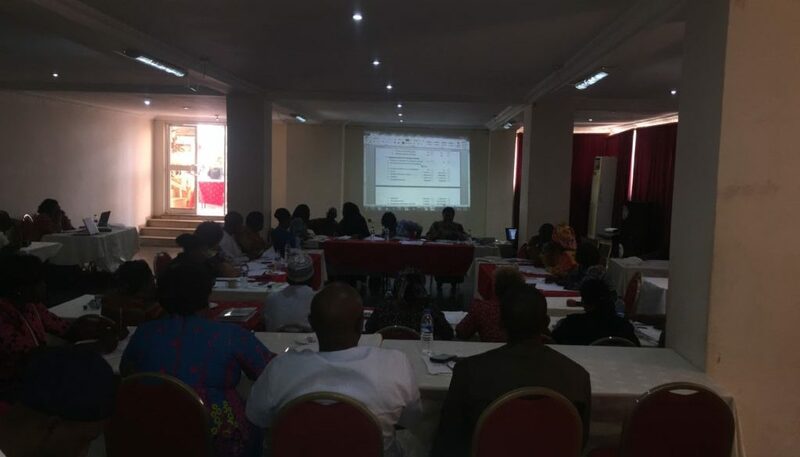 It was a long week as we received an invitation from the Sustainable Development Goal Department of the Federal Ministry of Education (FME – SDGs Office) to witness the reviewing of the instrument for the monitoring of 2016 SDGs Projects in Nigeria. We were invited to be an independent participator in the event, representing Civil Society Organization in the event owing to the fact that Education is one of our thematic areas. As the lead investigator on Education for our Follow The Money project, it is a part of my responsibilities to be part of the event. On getting to the event centre, they just created a registration sheet to represent NGOs in which my name was the first on the list as they are not expecting more of Civic organisations. In her introduction, Mrs AAA Liman stated that the essence of the event is to bring agencies and departments together to review the monitoring and evaluation instrument that has been in use by the SDGs in order to upgrade it to international standards after which she passed the baton to the Director of the Unit. In her own words, the Director said that she has to be in the event since monitoring has been a thing of her heart as the motto of the Department is “Raising the Bar”. She gave a background to the present monitoring framework of the department and said it has been in existence since 2009 when it was first developed for monitoring of SDGs projects in Nigeria and further explained that they would love to review it so as to make it a tool that will be in tune with present happenings in the world. On her endnote, she concluded by saying “our goal is to come out with an instrument that will meet international standards and can be used by all agencies and departments”. In his word, Hamzat Lawal said this event will shape Education in Nigeria as the instruments will provide a framework for monitoring of the implementation of the Education funds meant for the schools in the grassroots and also, this will be a guide for other MDAs and also, it will be good for transparency and accountability in government projects in Nigeria. The event lasted almost the whole day as each item and options were reviewed by all the agencies working on education SDGs in Nigeria. Some items stayed the same while significant others were reviewed thoroughly. After which the event finally came to an end. I was awed by the action taken by the FME-SDGs as it shows how passionate some civil servants are with their job and the well being of the people they are working for given that the civil service space is filled with many misappropriations and negligence of work. Only if we can have more agencies like this in Nigeria, the government would function better and maybe corruption would be drastically reduced. These are my thoughts and I hope to see more of such happening in Nigeria.